The serene building of Apoorvas Guest House is the right place to spend time in Chennai. The elegant glass door entrance takes you into the tranquillity of the guest house, making it hard not to notice the well-designed residence. The well-lit lobbies lead the guests to the spacious rooms which have a stunning wooden decor, is well-furnished and packed with basic amenities. It is embellished with beautiful lights, making the room look radiant. The long golden curtains add to the charm of the room. 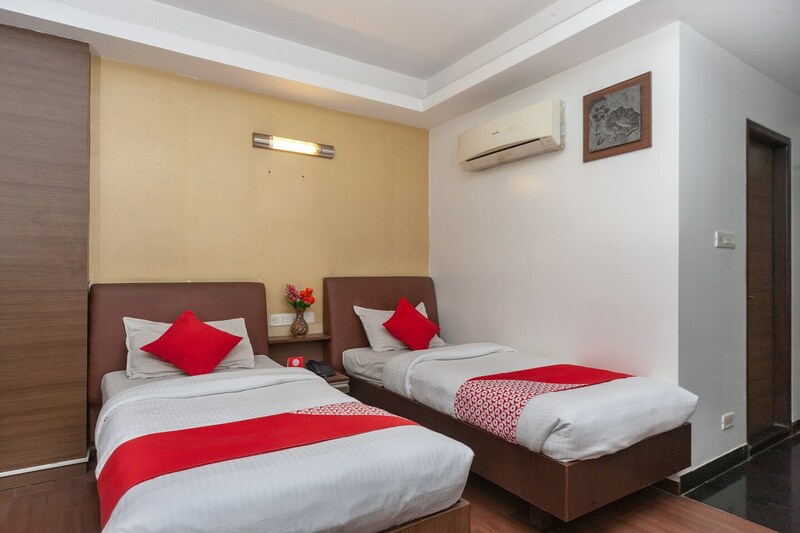 With these beautiful rooms, there are additional facilities like seating area, free WIFI, power backup, CCTV cameras and also accept payments through cards.